This home was completely transformed in the course of this project, with the wasted space separating the two parts of the property incorporated into the main layout. This provided ample space for a social hub where all the family could gather. 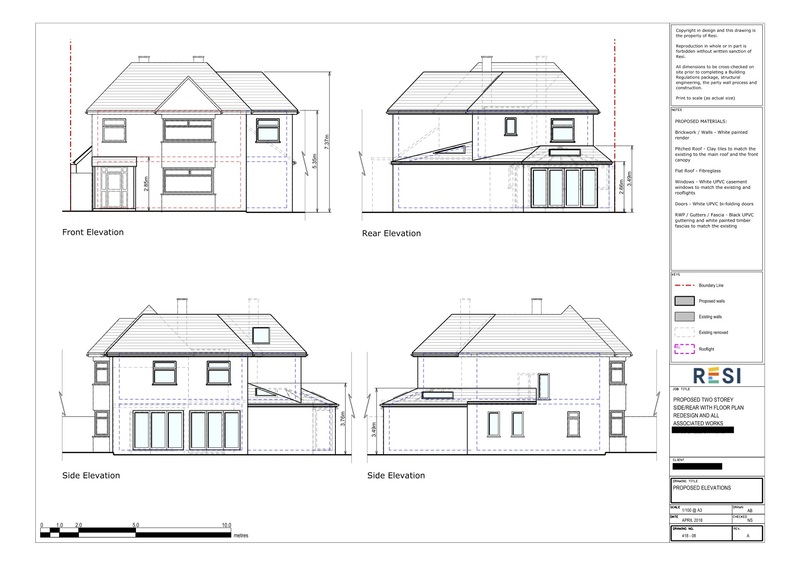 This project was carried out under householder planning permission, which was granted on 18th July 2018. 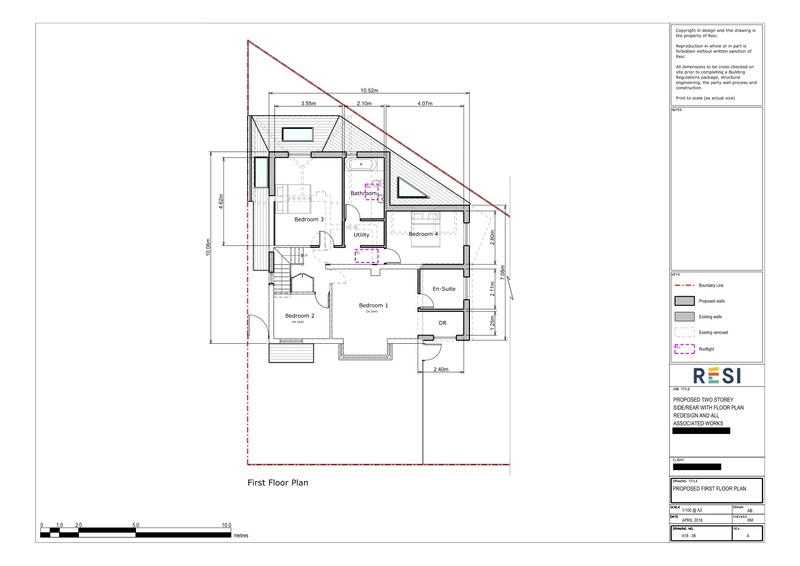 Our client was looking to use the new space from their two storey side and rear extension to create an open plan kitchen area, office, and hangout area for the kids on the ground floor, and additional bedrooms and ensuite on the first floor. They wanted to allow lots of natural light to flow into the property, yet still have the home warm enough in the winter. All of this was to carried out with a modern feel in mind. To design the ground floor extension I connected the existing conservatory with the play room, in order to create a large new space to work with. This held an open plan kitchen and dining room, with a central island to break up the space. A nice little feature was the seating area around a log burning fireplace, perfect for winter evenings. To ensure this room had plenty of natural light, I added in three skylights, and white uPVC bi-fold doors. 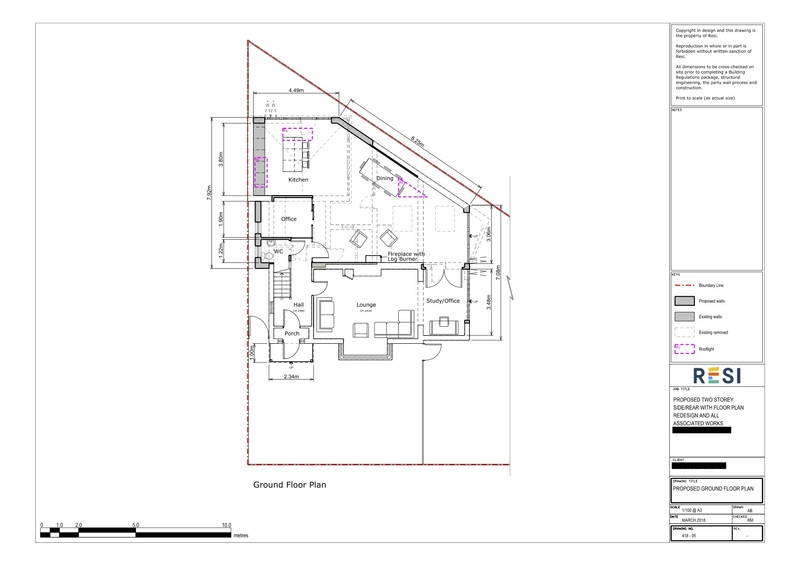 For the first floor, the side extension allowed for a fourth bedroom, enlarged bathroom, and ensuite and dressing room for the master bedroom.